When you have a good violin you also need quality strings for it, so check out our article on how to choose the best strings. 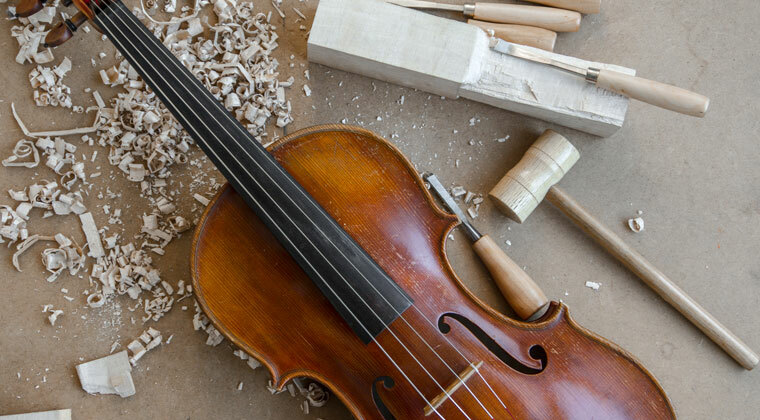 The creator of the violin is uncertain, with some people pinpointing Andrea Amati as the creator, while others believe Gasparo da Salò to be the one who first made the violin as we know it today. However, one thing is clear – the violin appeared somewhere in northern Italy and most probably in the town of Cremona. The violin is not an instrument that appeared overnight, but rather it came into existence as an evolution to other similar instruments. Most of the cultures around the world have their own instruments that they use when celebrating, when gatherings are organized, or just for personal entertainment. Stringed instruments have been around for a long time and one of the earliest cultures to use them was that of the ancient Hebrews. Creating music with the use of such instruments is thus an old tradition, and early stringed instruments had a great influence on later creations. Violins were also inspired by older, similar instruments, and the prevailing theory is that they are based on the rabab, which has Arabic origins and is played with a bow, despite it being similar to a lute. The rabab had two silk strings that were tuned in fifths, the same as a violin. These strings were tuned using pegs that were placed along the body. The neck was a very long one. Those that played this instrument used a bow to play it and they also greased it with resin. Unlike a violin, however, the rabab was held on the player’s lap. 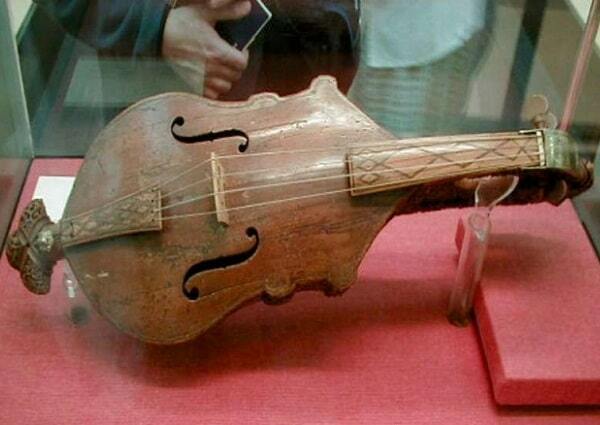 A lot of time passed until this instrument had any impact on the Europeans. The rabab began to influence the craftsmen during the middle of the 11th century. Very similar to a rabab, the rebec appeared in Spain, possibly due to the crusader influence. This new stringed instrument was made of wood, unlike the rabab which was fashioned from a gourd. Another difference between the two is that the successor featured 3 strings and not 2. One thing that brought this type of instrument closer to today’s violin is that the rebec was held on the shoulder. Painted in 1530, the “Madonna of the Orange Tree” is the first image where a violin appears. It was painted by Gaudenzio Ferrari, a Northern Italian and it is the first clear record of the instrument. Although there are some differences comparing to the violins today, the instrument that can be seen in the painting has the hallmarks of a violin. The three instruments that make the violin family, the cello, viola, and violin appear in a later fresco inside a church in Saronno, northern Italy. There are some few differences between the instruments depicted in these paintings and the violins that we have today – they all have 3 strings and not 4 and they have a more extravagant and curvy shape. Other than that, the similarities are clear – bulging front and back plates, no frets, the presence of f-holes, and the strings that lead to peg-boxes. However, it’s not clear who is the person that created these instruments which appear in the paintings. But there is enough proof that the instruments originate from northern Italy. Nowadays it is believed that the first person who made a violin was Andrea Amati (1505 – 1577), who lived in Cremona, a town in Italy. What’s really astonishing is that Amati created the world’s oldest violin that is still in existence and can be seen at The Metropolitan Museum of Art. Historians believe that he was the creator of the first violin because of historical writings that showcase the sale of 24 of his violins to Charles IX. There are earlier writings that talk about violins, however. The treasury of Savoy’s records shows how the duchy paid for some violins that came from Vercelli, coincidentally, the town where the painting “Madonna of the Orange Tree” is. Some of Amati’s instruments have survived until the present day and a few of them can be played. Taking into account that they are about 500 years old, that is impressive. He is credited for creating the instrument as we know it today, with 4 chords, as the violins that were present when he was alive only had 3 chords. While very similar to today’s violins, Amati’s first creations had elegantly curved scrolls and bodies and wide purfling. They were also smaller and had high arches. His sons were keen on following on their father’s footsteps and they were highly-skilled violin makers too. He also had a grandson that was a great craftsman as well. This grandson later had many talented apprentices, amongst which Antonio Stradivari, known today as the most famous violin maker. 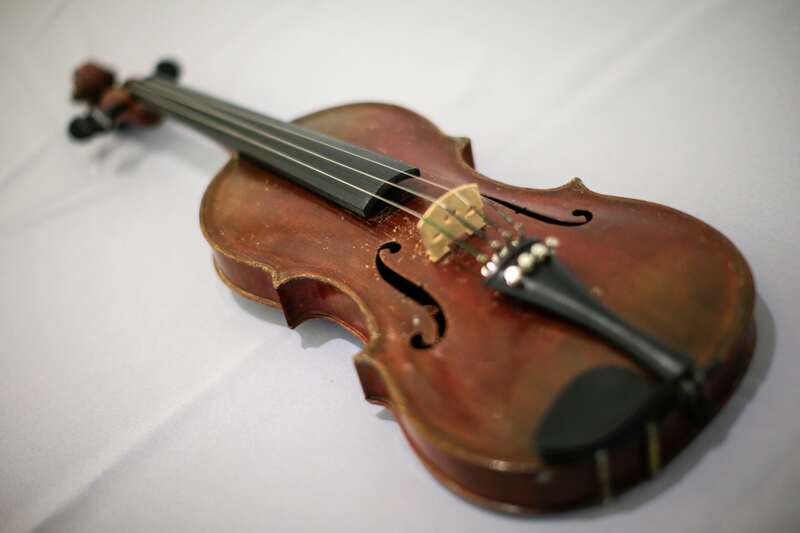 Historians say that Amati may not necessarily be the creator of the violin as we know it today. Some say that Gasparo da Salò (1540 – 1609) was the inventor. He was an artisan that lived in Brescia, a city situated in northern Italy, so it appears that no matter who was the exact person that created the violin, the instrument appeared in that part of the world. Gasparo had many different talents and he was an expert double bass player. He created many stringed instruments and 80 of them are still in existence today. He came from a family of musicians and that is why he knew about all these instruments and probably had an influence on the violin. Amati had the great idea of creating a school in Cremona dedicated to teaching the art of crafting violins. The Amati brothers Antonius and Hieronymus, his sons, were some of the best pupils of that school, along with Nicolo Amati, his grandson. That school helped make the violin a popular instrument in Europe in the following 100 years. One of the best apprentices was Andrea Guarneri. After spending a lot of time at Amati’s school he went on to create some of the best violins today. Guarneri’s creations rival those of Stradivari and some of today’s players actually prefer his violins.